Fethiye has been the most important settlement since ancient times. An Anatolian civilization, Lcyians, had this city and the city was called as Telmessos. Telmessos (Fethiye), respectively, remained under the rule of the Persians, Alexander the Great, Egyptian, Roman and Byzantine. Finally, it was participated to Ottoman Empire, and called Beş Kaza. Turkish Republic was established and this city was a part of Muğla and was called Fethiye. Fethiye has historical places and the beauty of nature so it is one of the most preferred destinations by both local and foreign tourists . Ölüdeniz: Oludeniz Beach is at a distance of 14 km from Fethiye. There are many boarding-houses, camps, motels and restaurants that are open during each season of the year. You should try to paraglide and enjoy an amazing landscape. Göcek: It is 30 km far from Fethiye on Fethiye-Mugla highway. Having an appearance of a small charming fisherman town, Göcek has recently become one of the important centres of yacht tourism. Besides its natural harbour, it is a unique tourism heaven with its numerous islands and bays, ruin places and pine forested hills. The town with its marina and increased number of modern facilities, is at a distance of 20 km from Dalaman Airport. Butterfly Walley : At a distance of 5-7 km from Ölüdeniz, this interesting canyon is surrounded by approximately 350 meter high mountains. It takes its name from the butterflies called as ‘Jarsey Tiger’ and seen between June and September. Transportation to the bay, being an Earth Eden with its waterfall flows both in summer and winter, large beach, clear water, brightly shining pebbles and oleanders decorating the environs, is provided by boats from Ölüdeniz. Possibilities like a camping area with tent sites, restaurant, bar, shower cabinets, changing cubicles, etc. are offered in the valley which is the meeting place of world wanderers. Saklikent : It is 50 km from Fethiye. Saklikent was discovered by a shepherd 14 years ago. It is a natural wonder hiding within a 18 km long magnificent canyon of which height reaches to 600 meter in some places. it is a unique tourism centre which offers possibilities for nature lovers such as mountaineering, trekking and swimming. Kayakoy : Kayakoy was a settlement region of Rums (Greeks of Turkish Nationality) in the 14th century. It was founded on the lands of ancient city Karmillassos which had been demolished almost completely excluding a few home-type tombs due to earthquakes. Its ancient name is Levissi. Telmessos Antique Theater : As mentioned in the ancient sources, there was a big theatre in Telmessos. Built in the early Roman Period and repaired in 2000 AD, it is known that the theatre with a capacity of 5000 seats was used as an arena. At present, the theatre has a seating capacity of 1500 people. 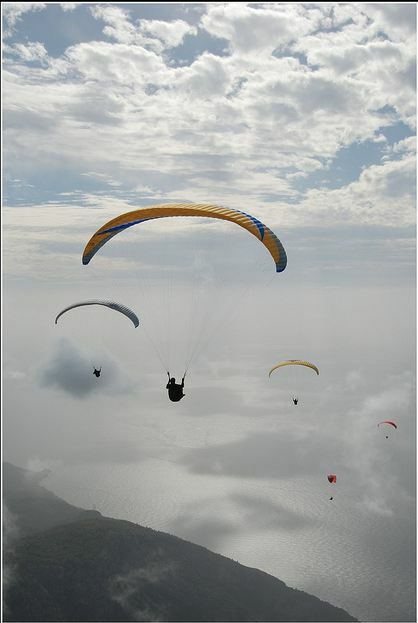 Paragliding: We must say that the best paragliding is done in Fethiye. F ly tandem with an experienced licensed pilot from Babadag Mountain which is accepted as the best fly point of the world, (elevation 1975 metres.) 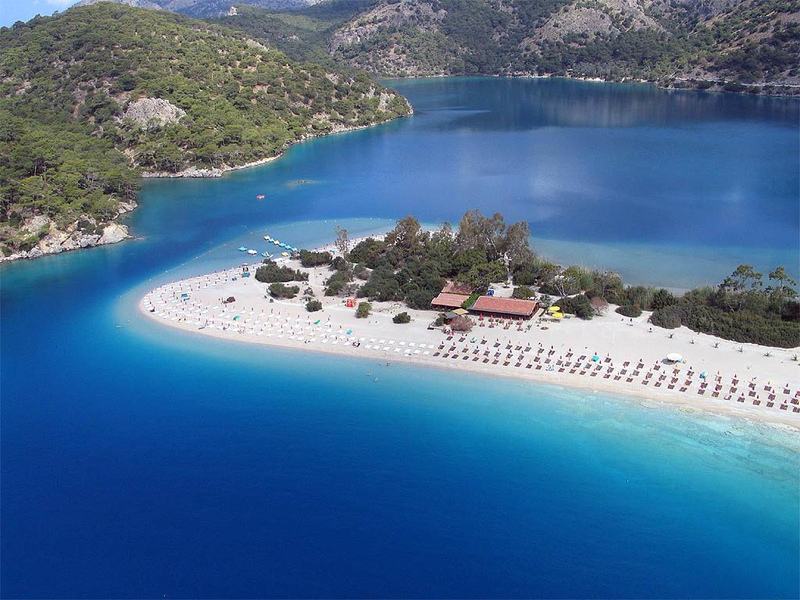 to Belcekiz Beach in 30-40 minutes and enjoy fantastic views of Oludeniz. Diving: Local sea life has a rich variety of fish, including octopus, eel and dolphin. Don’t forget to take an underwater camera with flash to light up the vibrant colours of the wonderful fauna and coral formations. Trecking - Lycianway : Fethiye , Lycianway, is located between Fethiye and Kaş. When you walk on this way, you will travel to deep of history, you will also see mausoleums, the ancient city walls, and the roads that connect the walls of city, public paths, public fountains, theatres …. Lycianway is a forest sea . It has variety of trees, flowers and several animal varieties.